What are the motivations, possibilities, and consequences when groups of people move to new land? 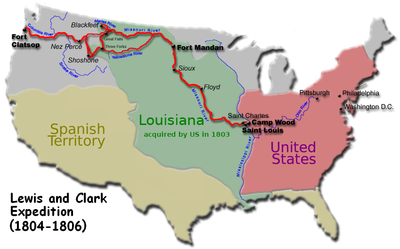 Click here for descriptions of the trails different groups took westward. 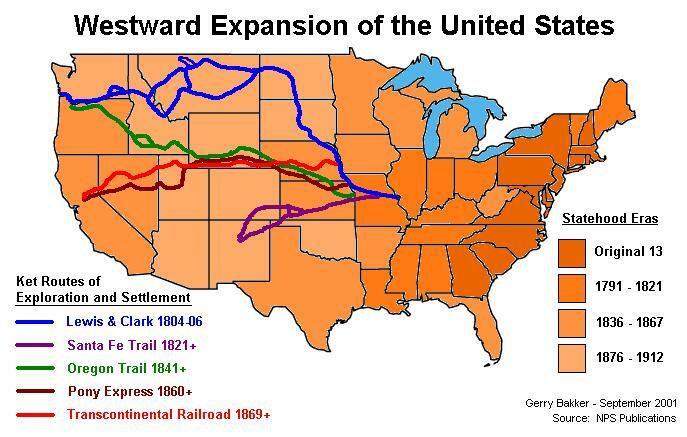 Click here for a source about the Westward Expansion of settlers, political effects of this expansion, and various videos. 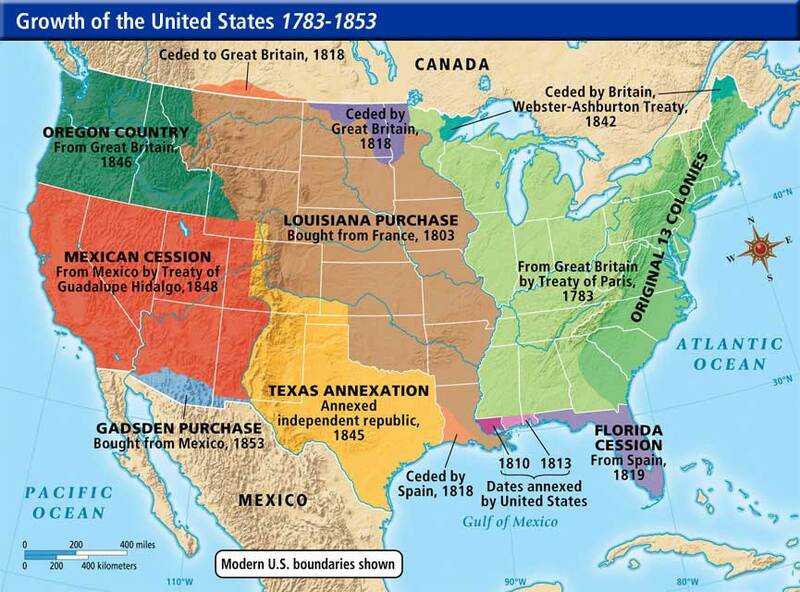 Click here for a series of articles related to the Westward Expansion of settlers and related political events. Click here for a source about Indian Removal and the Trail of Tears. Click here for a source about the Mormons' move west. Click here for a video about one family's journey to California in 1849 (including an actress reading part of the diary of a 14-year-old on that trip). 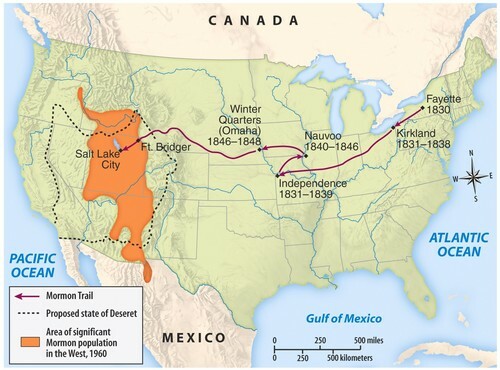 Click here for a video about the first white settlers to settle on the Plains (after the transcontinental railroad was built).